1. Hikers on the way up have the right of way. 2. No Dogs allowed on either trail. 3. Parking is a challenge so plan accordingly. 4. No restrooms on Cholla Trail. 5. Please respect your surrounding... Leave NO Trace! Need An Experienced Hiking Guide? 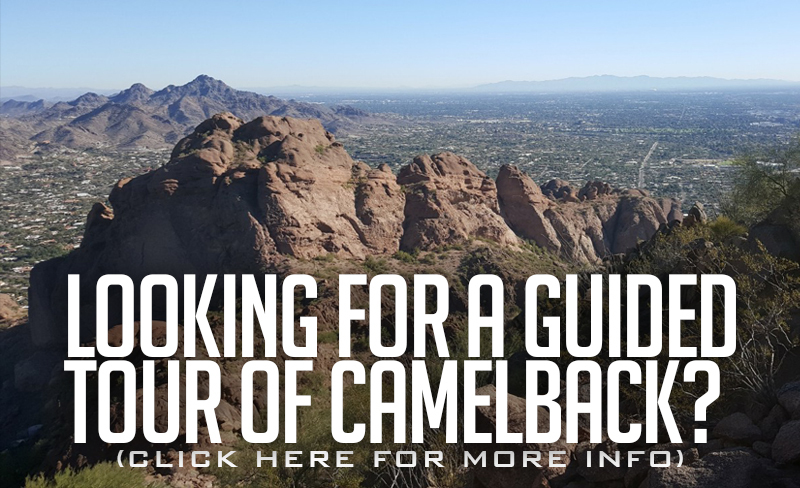 We invite you to hike Camelback Mountain with us (click here for guided hikes), up either the Echo Canyon Trail or Cholla Trail. Both Camelback Mountain trails provide a great cardio workout, fantastic views and interesting wildlife & landcape. Be sure to check out our reviews on Yelp!